As talk of a NAFTA renegotiation ramps up, Mexico is surprisingly indicating an eagerness to move forward with talks. The southern neighbor of the US is pushing to begin the discussion immediately in hopes that co-operation will actually benefit Mexico. Instead, studies show a far more complex dynamic with some areas benefiting from NAFTA while others declined. In manufacturing, for example, Mexico certainly benefited. Yet overall, the country remains poor, and approximately 55% of Mexicans today cannot afford basic expenses, such as food, housing, health care, education transportation and clothing – up from 52% when NAFTA was first enacted in 1994. 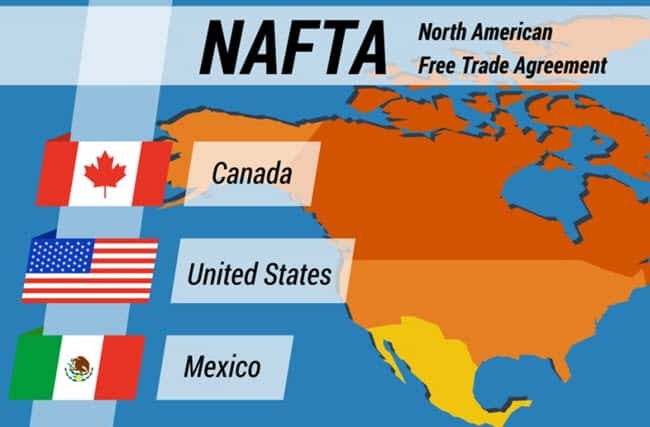 [The update was] predicated…on a more constructive assessment of what the future of North American integration might look like…On the relationship with the US there appears to have been a rethinking of trade issues within the Trump administration…We now think that NAFTA will be “rebalanced” but also “upgraded” [benefiting Mexico]. Will trade continue during this transition? Companies that were doing business in Mexico prior to the US elections of November, 2016 have been experiencing an uptick in growth. One would ask, “how could this be with all of this controversy about NAFTA renegotiations?” The answer is simple. Mexico’s most valuable asset is a huge body of intelligent, honest hardworking people who are willing to work to improve their state of life. It’s a simple supply and demand issue. South of the border is a huge supply of potential employees willing to work for 20% of the costs being required North of the border. North of the border is an economically driven demand for such labor. Trade continues and growth continues and will continue as both nation’s struggle to update and improve NAFTA for their mutual benefit. The reader is invited to review our Blog at https://www.tecma.com for articles on subjects such as this.